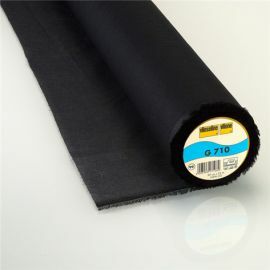 Fusible Interlining H 180 black Especially soft and lightweight interlining for small parts as well as front parts of jackets etc. 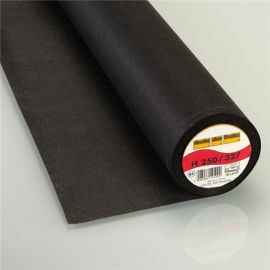 made of very lightweight to mediumweight outer fabrics. 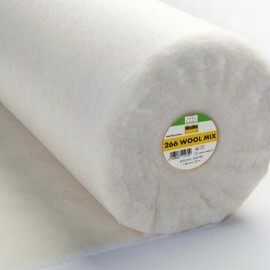 All our interlinings Vlieseline are sold from 10cm and delivered in one piece. 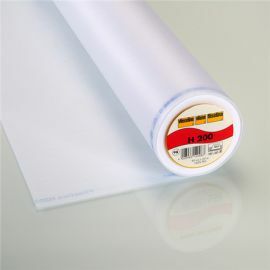 Iron-on adhesive Bondaweb. Making of belt loops, ribbon embellishments, creating of fusible bias tapes for tiffany quilting and weaving. 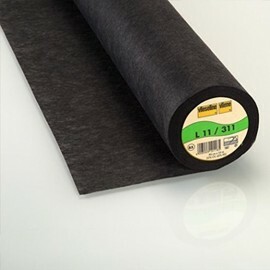 Vlieseline extreme voluminous batting - 150 x 200 cm Heavy-weight, highly voluminous sewable batting with z flame-retardant finish, made of synthetic fibres. 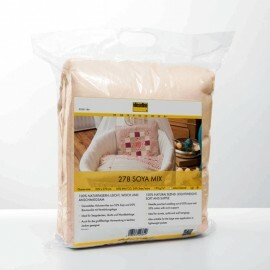 278 Soya Mix, Soft natural fibre XXL 220 x 270 cm Extremely soft natural fiber (50% soyabean/50% cotton). 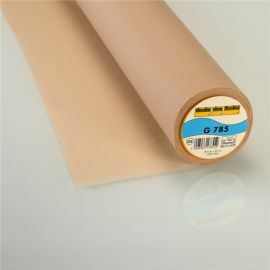 Softer and smoother than traditional waddings/battings. 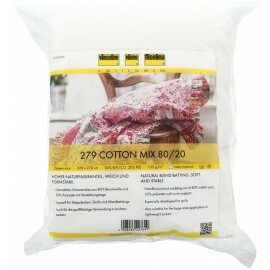 For quilts, wall hangings and clothing etc. 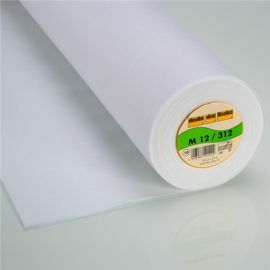 Fusible Interlining H 180 Especially soft and lightweight interlining for small parts as well as front parts of jackets etc. 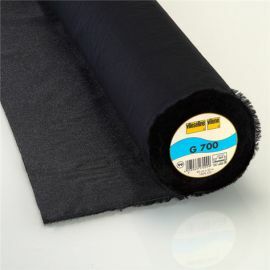 made of very lightweight to mediumweight outer fabrics. 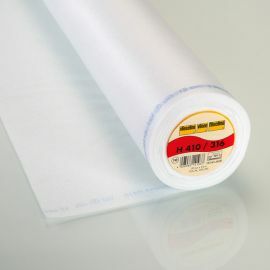 All our interlinings Vlieseline are sold from 10cm and delivered in one piece. 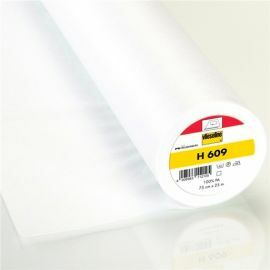 Fusible Interlining H 200 Lightweight interlining with some stability for small parts of blouses and dresses. 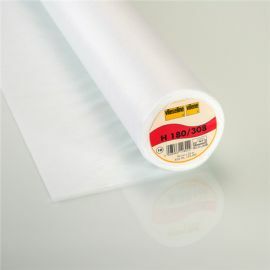 All our interlinings Vlieseline are sold from 10cm and delivered in one piece. 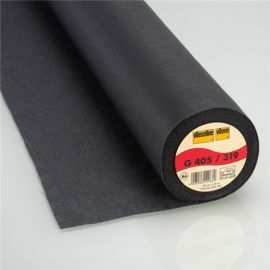 Fusible Interlining G 405 Soft, versatile interlining for front parts of jackets etc. as well as for small parts. 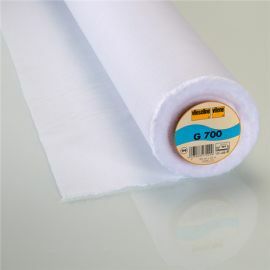 All our interlinings Vlieseline are sold from 10cm and delivered in one piece. 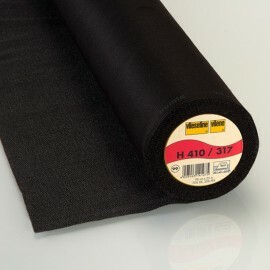 Fusible Interlining H 410 Soft interlining with stabilizing vertical threads; suitable for front parts of jackets etc. as well as for small. 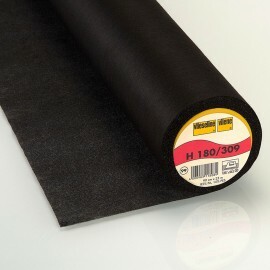 All our interlinings Vlieseline are sold from 10cm and delivered in one piece. 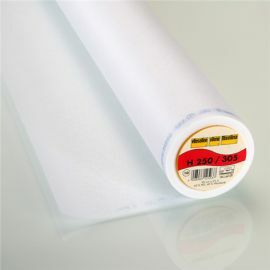 Fusible Interlining H 250 Firm, stable interlining for shaped cuffs, shaped belts and for textile craftwork. 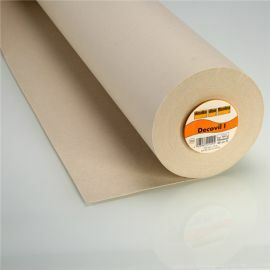 Guarantees durable shape. 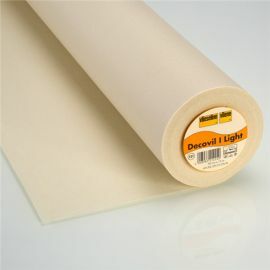 All our interlinings Vlieseline are sold from 10cm and delivered in one piece. 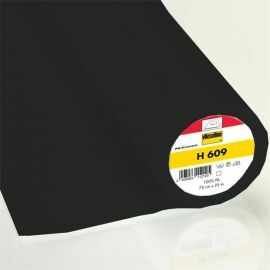 Lightweight and bi-elastic interlining H 609 H 609 is a lightweight, fusible knit interlining, made out of fine Polyamide yarn. 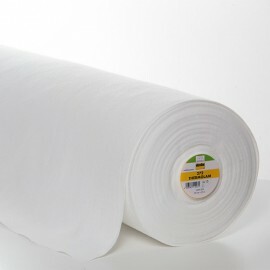 All our interlinings Vlieseline are sold from 10cm and delivered in one piece. 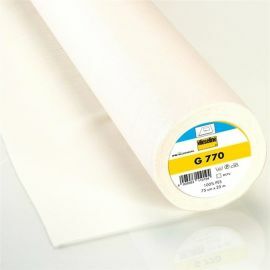 Fusible Interlining G 700 Versatile woven interlining for SMALL PARTS of blouses and shirts. 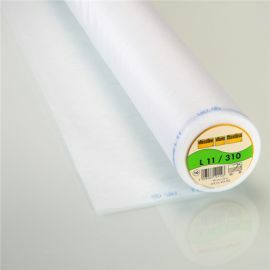 All our interlinings Vlieseline are sold from 10cm and delivered in one piece. 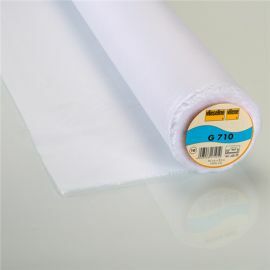 Woven Interlining G 710 Light woven interlining of pure cotton for small parts in ladies' blouses or dresses. 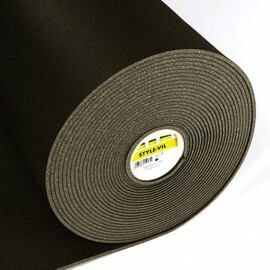 All our interlinings Vlieseline are sold from 10cm and delivered in one piece. 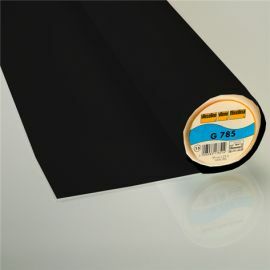 UNIVERSALLY APPLICABLE WOVEN INTERLINING G 770 G 770 is a soft and bi-elastic fusible PES interlining which is universally applicable. 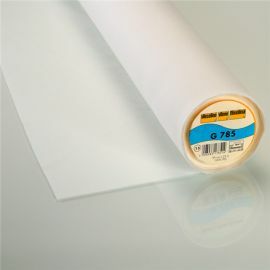 It offers very good adhesion after application by hand iron and is highly resistant against care treatment. 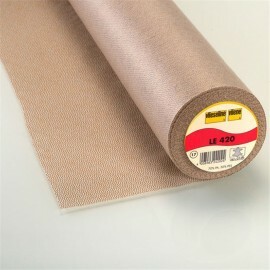 All our interlinings Vlieseline are sold from 10cm and delivered in one piece. 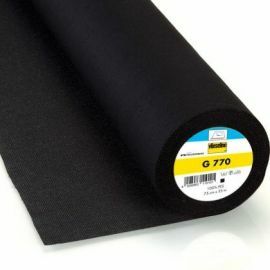 Woven Interlining G 785 Soft, lightweight and bi-elastic woven interlining for small parts of blouses and dresses as well as for front parts of jackets, coats etc. 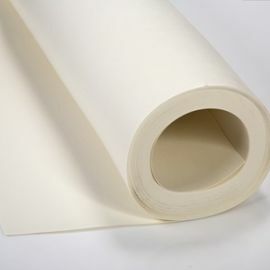 made of lightweight and/or elastic outer fabrics All our interlinings Vlieseline are sold from 10cm and delivered in one piece. 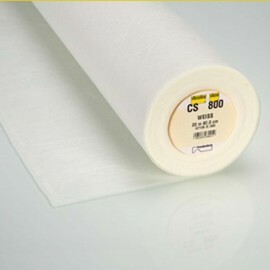 Spunbond with unlimited possible uses CS 800 For experimental surface designs, for home decor and interior designs as well as painting. 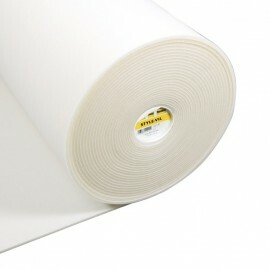 All our interlinings Vlieseline are sold from 10cm and delivered in one piece. 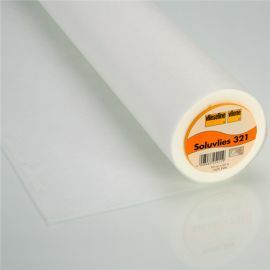 Firm Interlining - S 133 Very firm and compact interlining for fabric bowls, peaks of caps, bottom of bags as well as for creative works. 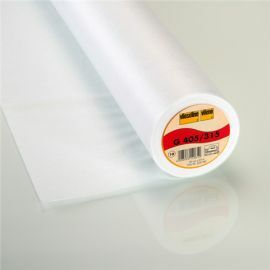 All our interlinings Vlieseline are sold from 10cm and delivered in one piece. 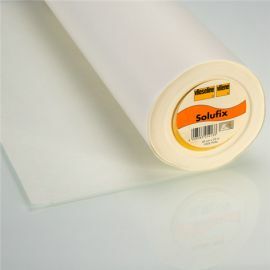 Lightweight interlining - S 320 Soft, flexible fusible interlining - ideal for creating bags, fabric bowls, belts, hats and other creative works. 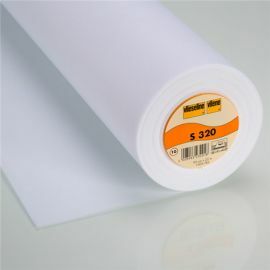 All our interlinings Vlieseline are sold from 10cm and delivered in one piece. 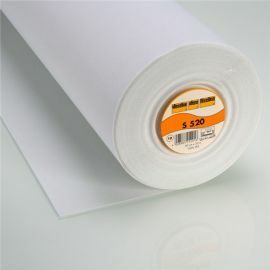 Firm interlining - S 520 Ideal for pelmets & tiebacks, fabric bowls, bags, belts, hats and other creative works. 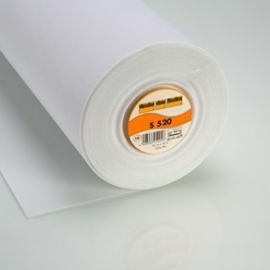 All our interlinings Vlieseline are sold from 10cm and delivered in one piece. 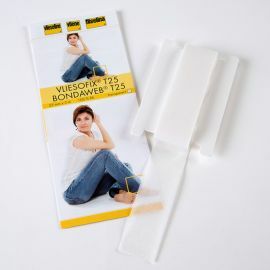 Bondaweb Iron-on adhesive on paper carrier - paper supports the web while drawing as well as ironing. 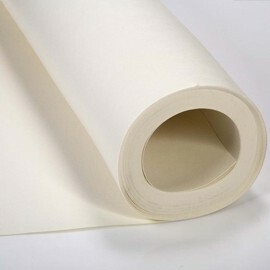 Different materials and fabrics can be fused together by ironing, very easily. 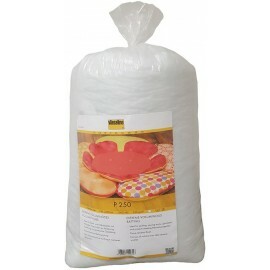 Ideal for fancy appliqués and textile handicrafts in all forms and colours as well as for repairs.